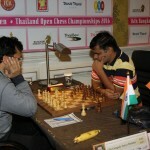 With two rounds to play, five Grandmasters remain in contention for the 100,000 Baht first prize after Friday’s seventh round of the 16th Bangkok Chess Club Open, South-East Asia’s strongest tournament of 2016. 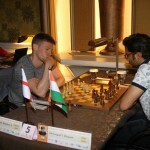 The tournament leaders Grandmasters Jan Gustafsson and Loek van Wely could not make any progress in their head-to-head encounter, leaving the door open for other to join the tournament lead on six points. Spanish top seed Paco Vallejo made the most of his chances, demolishing Myanmar’s Wynn Zaw Htun with one of the most spectacular games ever played on Thai soil. 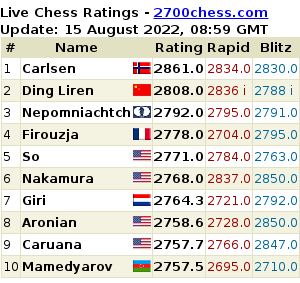 After thinking for half an hour over his 18th move, Vallejo found a brilliant new plan, which involved sacrificing his knight and then his rook for a crushing attack. Wynn resigned on move 29 when defeat was inevitable. 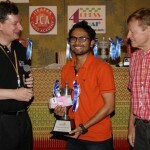 Two more Grandmasters joined the tie at the top: Surya Ganguly positionally outplaying his Indian compatriot Sharma Himanshu, while Dutchman Benjamin Bok outlasted Indonesian FIDE Master Ervan Mohamad. 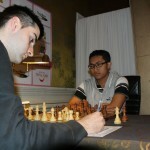 Boonsueb Saeheng moved to the top of the Thai leader board by defeating Germany’s Andre Kienitz but Saeheng remains a point and a half from the leading bunch and it is now clear that there will not be a local winner of Thaliand’s premier event. 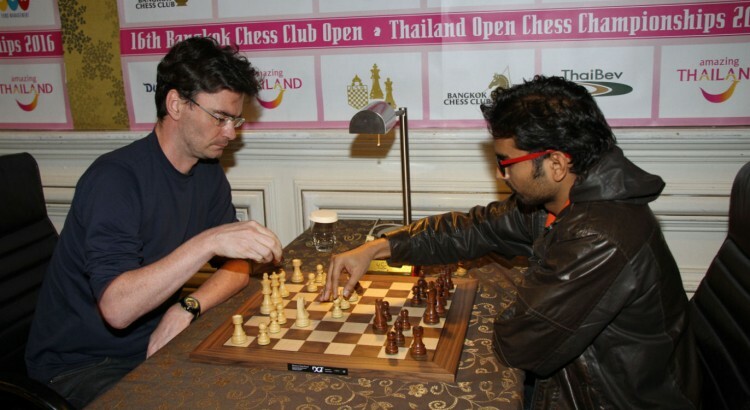 In Thursday evening’s final of the Bangkok CC Blitz Championship, Indian Grandmaster Dhopade Swapnil defeated van Wely in a dramatic Armageddon playoff where, after a seesawing game the Dutch Grandmaster was winning on the board but lost on time. 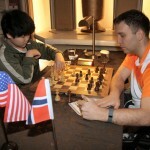 325 players from 43 countries, including 13 Grandmasters, are competing in the Bangkok Open tournament, held in the centre of Bangkok at the Dusit Thani Hotel. 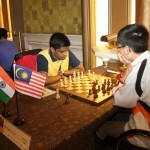 Round 8 of the Bangkok CC Open begins on Saturday at 2pm at the Dusit Thani Hotel. Admittance is free for spectators.